There was a reduction in hypertensive complications in the induced group at 39 weeks. 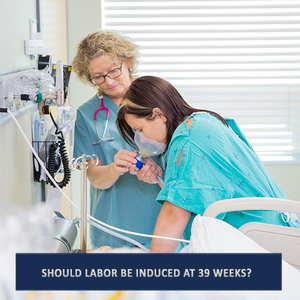 The study’s findings are compelling because in the past there was fear that if you induced women sooner than 41 weeks you increase the possibility of adverse outcomes increased as well. This study dispelled that fear; however, one must have an accurate due date to avoid delivering the baby too soon or too late. If you enjoyed this blog post, please share with a friend. The Smart Mother's Guide always strives to give you the most current and accurate information to ensure that you have a healthy pregnancy and safe delivery.